CSDA is growing fast and we’re excited to see our work beginning to make a real difference and our research helping to inform policy and planning. 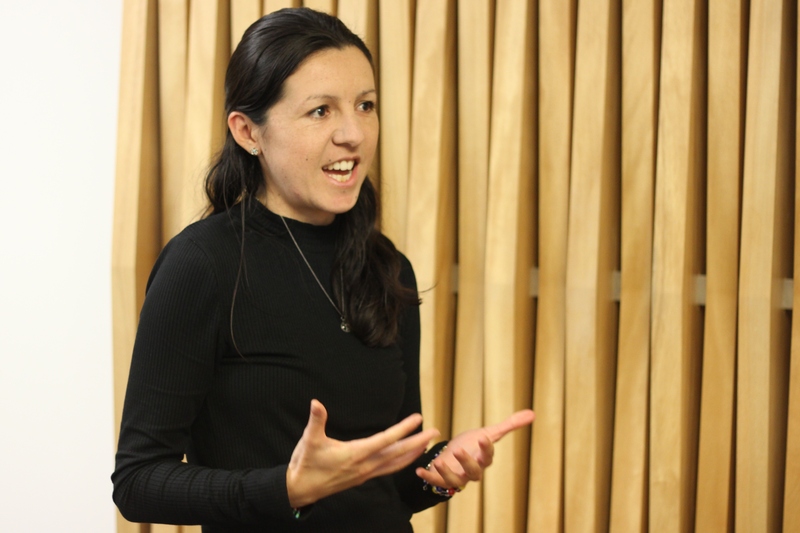 This issue - our latest research insights, CSDA data scientist Diana Benavides Prado explains her prediction risk modelling work, and a snapshot of our new projects in the UK, US and NZ. CSDA’s Tim Maloney and Rhema Vaithianathan collaborated with researchers from AUT’s School of Economics and the Ministry of Social Development to evaluate the impact of access to Teen Parent Units (TPUs) for teenage mothers. Key findings show mothers living close to a TPU are more likely to return to school and more likely to achieve NCEA Level 1. CSDA will present this research at the NZ Association of Economists conference in July. The Government has announced funding of $321m for vulnerable children including $28m over four years for its Family Start programme. CSDA’s impact evaluation of Family Start found it lowered the risk of Sudden Unexplained Death in Infancy and increased the use of health services, engagement with ECE and likelihood of immunisation. Rhema Vaithianathan says it is satisfying to see funding being directed to a programme that CSDA’s research has validated. The Allegheny Family Screening Tool (AFST) is a child welfare predictive risk model that helps call screeners in Allegheny, PA, decide how to handle incoming calls. A full overview of the process and thinking that went into the development and implementation of the AFST is now available - it includes the methodology report and ethical analysis report. Predictive Risk Models (US): We are building models in Allegheny County, PA (homelessness, early intervention) and Douglas County, CO (Child Welfare - feasibility study) and supporting prototype in California. Workforce Wellbeing (UK): Development of data gathering app for Health Education England, Wessex. Tax Credits/Maltreatment (NZ): Using NZ’s Integrated Data Infrastructure to explore the effect of Working for Family tax credits on child maltreatment rates. Growing demand for CSDA’s research and expertise has seen significant growth at the centre in the last six months. Our new team members are: Trish Marsters (Coordinator), Nina Anchugina, Diana Benavides Prado, Sandeep Perera, Oleksandr Fialko, and Anna Gsell (Data Scientists). Emily Kulick has also joined CSDA as our US-based project manager. Read our team profiles. She is investigating a more complex rule-based model - the random forest model - which can analyse and cross-reference numerous sets of data or ‘decision trees’ and which could arrive at more accurate predictions about the likelihood of a child being at risk of abuse. Work to date has confirmed the accuracy of the more complex modelling tool using historic Allegheny County data but the CSDA team wants to answer several questions before it can be implemented. Read the full article on CSDA data scientist Diana Benavides Prado and her computer modelling work. A paper looking at disparities in the involvement of Child Protective Services for black and white children, co-authored by CSDA researchers Tim Maloney and Rhema Vaithianathan, has been published in Maternal and Child Health Journal (2017). A team from CSDA has completed a working paper on the impact of school-based Teen Parent Units on educational outcomes for teen mothers, commissioned by the Ministry of Social Development. CSDA has provided further evaluation of the Family Start programme, examining the impact of Family Start for additional sub-groups of participant children, and looking at the impact of the programme for Māori children when delivered by Māori and other provider organisations. We’ve been busy in recent months connecting with other experts in our fields of work, and sharing our knowledge with local and international researchers and government bodies. Highlights include hosting an Impact Evaluation Roundtable for the public service and our second CSDA Workshop focused on Child & Youth education and welfare research. We presented on our work with Allegheny County at ‘2030 Vision’ - the Australia and New Zealand School of Government event and we’ve completed research visits to the University of California, San Diego to learn about DELPHI - Data E-platform Leveraged for Patient Empowerment and Population Health and the National Bureau of Economic Research Cohort Studies Meeting in at California Center for Population Research, UCLA.